Don’t stay where the boys are ….. stay where the men are! Swim in or laze by the heated salt water pool, enjoy the spa, cool misting system and steam room! Play in the outdoor sling or Saint Andrew’s cross. 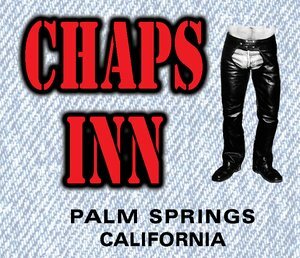 Chaps Inn is a clothing optional 10-room resort owned and operated by two British transplants and life partners, Stuart and Ian.